Farshadfar, E., Mahtabi, E., Jowkar, M. (2013). Evaluation of Genotype × Environment Interaction in Chickpea Genotypes Using Path Analysis. International Journal of Advanced Biological and Biomedical Research, 1(6), 583-593. Ezatollah Farshadfar; Elham Mahtabi; Mohammad Mahdi Jowkar. "Evaluation of Genotype × Environment Interaction in Chickpea Genotypes Using Path Analysis". 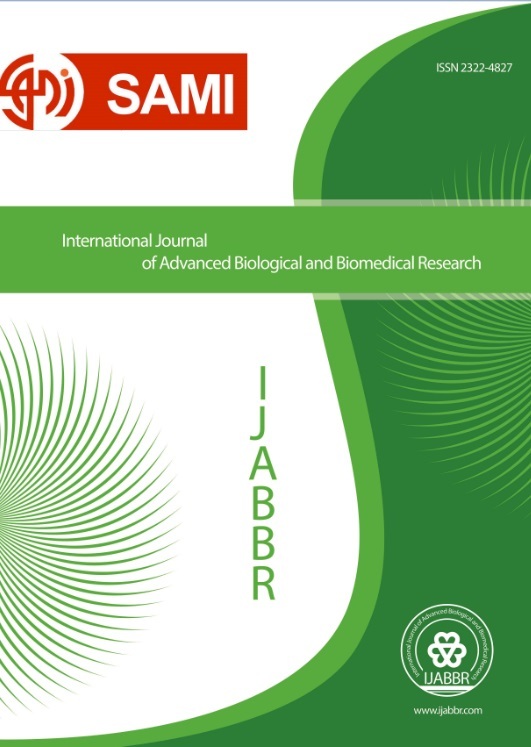 International Journal of Advanced Biological and Biomedical Research, 1, 6, 2013, 583-593. Farshadfar, E., Mahtabi, E., Jowkar, M. (2013). 'Evaluation of Genotype × Environment Interaction in Chickpea Genotypes Using Path Analysis', International Journal of Advanced Biological and Biomedical Research, 1(6), pp. 583-593. Farshadfar, E., Mahtabi, E., Jowkar, M. Evaluation of Genotype × Environment Interaction in Chickpea Genotypes Using Path Analysis. International Journal of Advanced Biological and Biomedical Research, 2013; 1(6): 583-593.